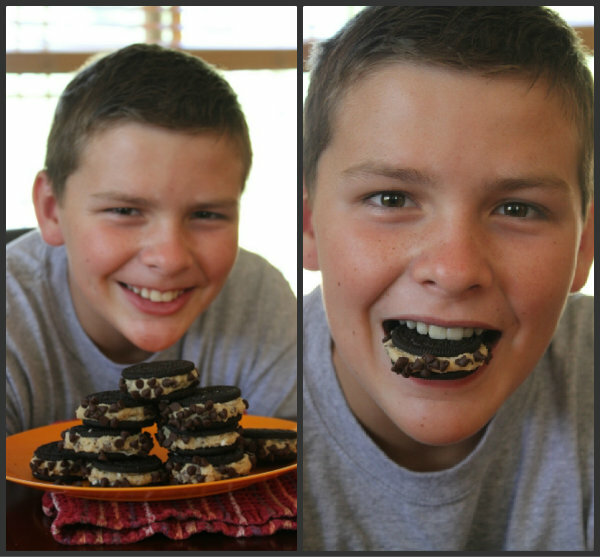 For my family reunion in Lake Tahoe last weekend, I made some fantastic Chocolate Chip Cookie Dough Stuffed Oreos. My family has a VERY big sweet tooth, so it worked out all right. Who admits to sneaking a little cookie dough to eat when you’re making cookies? That’s exactly why I made this recipe. My Mom saw the idea on the Mississippi Kitchen blog. It’s PERFECT!!! You don’t have to sneak the cookie dough. You eat it in the dessert! It’s genius. Oreos can bring joy to people on the gloomiest of days. So can cookie dough. If you combine those two joy-makers into one dessert,what difference do you think it will make to their day? I think that it will make it the best day of their life. This recipe is SO easy, but it tastes amazing. Just ask all of my cousins. They taste incredible and look incredible. Just what you want in a dessert! This may sound like a SUPER decadent treat (because it is), but it is perfect for any cookie dough lover like me. Who in the world wouldn’t like cookie dough stuffed inside an Oreo and rolled in chocolate chips? 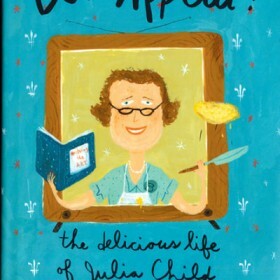 And even a kid can make a SUPER YUMMY treat that 35 people at his family reunion loved… Like Me! Cookie dough inside Oreos! Yeah! 1. Make the cookie dough: Combine the butter, sugars and salt in a large bowl. Mix in the milk and vanilla. Sprinkle in the flour and mix in. Stir in 1 cup of the chocolate chips. 2. Divide the Oreo cookies in half (use a sharp knife to split them easily in half). Scoop 1 tablespoon of cookie dough onto each half, then place the matching Oreo on top and squish together. Roll the sides in additional mini chips. Place on a platter, cover and refrigerate until ready to serve! Yay Recipe Boy!! You and I think alike my dear! 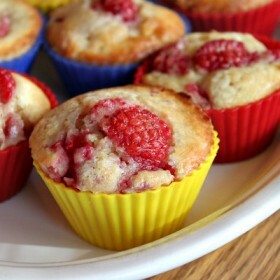 I have a similar recipe coming up on Picky Palate! Hope you are enjoying your summer!! Oh yum! What a fun and creative idea with Oreo’s! Love this idea. So simple but very clever. I love cookie dough, and I can only imagine how good these are!! made these for work today. BIG hit! thanks again!